Many argue that we ought to refrain from giving money directly to the poor. Since it was their faulty decision-making that caused their current predicament, giving money directly to these individuals would only perpetuate the cycle of poverty. At least in developing countries, this line of reasoning has been brought into serious question based on the consistent success of giving direct cash transfers to those in most need. Cash transfers were first implemented at a national level in Mexico by an organization called Oportunidades in 1997 and quickly sprang across Latin America. Under these programs, families received the payment on the condition that children attended school or that they visited a doctor regularly. As a result, such payments were labeled conditional cash transfers. Even more radically, unconditional cash transfers, in which recipients automatically receive payments, have become common. Despite reasonable skepticism that such funds may be wasted or fail to address the deeper roots of poverty, a plethora of studies have found both conditional and unconditional cash transfers to be remarkably effective at improving a wide swath of outcomes for low-income individuals. One study of a one-time conditional cash grant in Uganda found that recipients saw a 41% higher income and were 65% more likely to practice skilled trade than the control group, with even more significant benefits to women. An unconditional cash transfer in Kenya generated significant increases in income, food consumption, assets, and even psychological well-being. These results have held up in many interventions across Latin America and Africa, as evinced by a meta-analysis of 46 CCTs and another one of 21 UCTs that found significant positive results on diverse outcomes. One recent study even found that a CCT led to significant reduction of insurgent violence and influence in the local community in the conflict-afflicted Phillipines. The genius of cash transfers appears to be its bypassing the intermediate steps between donor and recipient that often result in lost funds due to overhead, negligence, or corruption. Several studies have shown that foreign aid in different forms, such as food or municipal grants, increased the prevalence of civil conflict by strengthening rebel groups who looted its spoils. Billions of aid dollars have also been squandered by corrupt governments, and many have argued that this money has kept the beneficiaries in power, such as the brutal Mugabe regime in Zimbabwe. But wouldn’t we expect poor people to squander this money? A meta-analysis of 13 interventions of conditional and unconditional cash transfer programs that analyzed household spending found that those who received transfers spent significantly less on alcohol and cigarettes. So far, cash transfers have primarily been executed by NGOs such as GiveDirectly. They have also began to emerge in developed countries’ foreign aid strategies. USAID boasts about the success of several recent initiatives it helped fund on its website, including a recent program in Sierra Leone in the wake of the Ebola Crisis. Still, such programs remain sparse. Due to their significant, repeated success, however, it’s time for them to become a fundamental part of developed countries’ foreign aid strategies. Foreign aid is a largely political process, which contributes to the fact that 35% of it US foreign aid goes toward military and security aid for our allies, most of which goes to Israel and Egypt. Its political nature could further be exacerbated if President Trump carries out his threats to sever aid flows to nations whose United Nations voting opposes the U.S. One limitation of cash transfers as a foreign aid tool, therefore, is that they may prevent donor countries from currying favor with recipient governments since they don’t directly bolster the state apparatus. On the flip side, however, they may provide an opportunity to help the most vulnerable people, the poor in nations with unstable or corrupt governments, without falling into the conventional aid trap of funding the ineffectie government. Moreover, much of the logic of foreign aid is as a “tool in our national security portfolio,” in the words of President Obama. If developed nations want to show that they are serious about increasing the stability of recipient nations, a proven method to improve people’s income, employment, and well-being would appear to be an effective strategy. While a wide swath of research has confirmed the success of both conditional and unconditional cash transfers, relatively little empirical work has been conducted to measure their relative effectiveness. Despite the plethora of studies on each, only four have simultaneously run CCTs and UCTs simultaneously, which provides a much better basis for comparison than different studies by controlling local context and study design. From these four papers, several patterns emerge that provide insights on how we should compare the two and where future research ought to lead. Several studies indicate that conditional cash transfers produce superior educational outcomes. In a 2011 Malawi experiment, the CCT only lowered the school dropout rate by 43% as much as the UCT. Among those not enrolled in school, the dropout rate was 50% lower in CCT arm. The CCT also generated a “modest yet significant” positive difference in learning outcomes. A follow-up study two years after both transfers ended found that the only group across each with a significant difference in child enrollment was for “marginalized children” less likely to attend school such as girls, younger children, and lower ability children within the CCT. The two other studies that compared the two types of transfers found marginally better school attendance and learning outcomes, respectively. Such benefits led a 2013 Economist article, to conclude that “CCTs are usually better [than UCTs], especially when dealing with the root causes of poverty and, rather than just alleviating it, helping families escape it altogether.” However, it would be very surprising not to find superior educational outcomes, particularly on school attendance and enrollment, within the CCT arm, as in all three field experiments running CCT and UCTs simultaneously, these were conditioned for. Looking further beneath the surface reveals a more muddled story. One measure in which CCTs appear inferior is on the harms they impose on those that fail to meet their conditions. In the 2011 Malawi study, marriage and pregnancy rates were significantly lower in the UCT than the CCT arm. The researchers found that the entire difference lied in participants who had dropped out of school. This finding suggests that the CCT provided these individuals no financial cushion to fall back on, making them more susceptible to these harmful outcomes. However, a 2013 follow-up study not only found that these results weren’t sustained, but they completely reversed. Two years after the program ended, marriage and pregnancy rates for the UCT returned to the levels of the CCT and control group, suggesting that the UCT was only able to delay marriage and pregnancy by providing a guaranteed income boost, but had no meaningful impact in the long run.As this is the only field experiment that has measured the relative significance of bounce-back effects in comparing CCTs and UCTs, the bounce-back effects of CCTs on those who fail its conditions are hence unclear. If these bounce-back effects exist, it would pose a serious ethical dilemma that cannot fully be captured by a cost-benefit analysis: how to weigh greater benefits of CCTs on those who meet their conditions against greater harms on those who do not. Moreover, the aforementioned benefits of CCTs over UCTs are likely overstated due to poor measurements of cost-effectiveness. In all but one study, participants in the CCT and UCT arm received the same transfer amounts, which almost certainly means that more money was spent on each CCT due to the costs of monitoring whether participants passed the transfer. Only a 2015 Burkina Faso study differentiated transfer amounts for each arm or discussed the total cost per participant. On average, each child received an average of $13 per year under UCTs and $9 per year under CCTs, while the cost per participant for each was $22 and $20, respectively. Though they describe the relatively high administrative costs as “common for pilot projects for which there are no economies of scale,” it is surprising that such costs are so similar for the two program types, suggesting administrative costs do not significantly impact cost-effectiveness. In the only measure of cost-effectiveness for any such study, this one finds that enrolling an additional child is about twice as cost-effective for CCTs, and four times as cost-effective to enroll an additional girl. As previously described, however, school enrollment, particularly in a study like this one where it was an explicit condition for receiving the transfer, is very limited in describing the benefits of each program type. In order to truly assess cost-effectiveness, we need to measure it across a wide swath of outcomes, including ones that weren’t conditioned for. Future research must also focus on evaluating the long-term impacts of each program. In the 2013 Malawi study, the only one that has assessed the two comparatively, the benefits of the CCT were more sustainable. Not only did the marriage and pregnancy benefits from the UCT not hold up, but neither did its improvements in psychological wellbeing or nutritional intake. CCTs, on the other hand, maintained significant benefits among recipients who had previously dropped out of school by fostering re-enrollment. A common thread throughout these assessments is the need for more experiments that run CCTs and UCTs simultaneously. One difficulty in comparing the existent literature was the differences in their designs, such as the conditions in each CCT and the categorizations made to compare different types participants. On the other hand, it’s critical to gauge how effective different approaches are. The only way to achieve both of these objectives is through more research. Ultimately, it’s impossible given our current knowledge to make a concrete claim in favor of either approach to cash transfers. CCTs appear slightly favorable due to their greater known concrete benefits and sustainability, but we need to do much more work to evaluate this crucial question. GiveDirectly, one of the primary NGOs facilitating UCTs, argues that cash transfers should be a benchmark for the success of other programs due to their proven track record and easiness to administer. Whether or not this takes hold, they will likely play an even greater role in international development as more and more research confirms their success. The success of cash transfers has led some to wonder if similar results would translate to Universal Basic Income (UBI), in which governments, not necessarily in developing countries, distribute a fixed amount of cash to all citizens. There are several ways in which UBI transfers could theoretically be more or less effective. Individuals in developed countries are usually in less dire poverty, which would likely give them more information on what to spend money on, but may not have as much of a positive effect on employment. It’s also unclear whether scaling the program up to a national level would affect its success. The only way to truly gage how significant these potential causal mechanisms are is to test UBI experiments empirically, which is beginning to occur throughout the world. A recent CCT program in New York City found mixed results. Two years after implementation, participants enjoyed significant improvements in school attendance, standardized test scores, family preventive health care, and parents’ full-time employment. However, a second iteration of the program found fewer benefits in each of these areas, and only saw educational improvements to high school students. There are currently at least eight UBI experiments analogous to UCTs in varying stages of development across Europe and the United States. When their results are released, we will gain a greater understanding of the impact of UBI on a small scale. The plethora of research showing the effectiveness of cash transfers of both types indicates that they are an effective tool in governmental foreign aid in order for developed countries to show that they are serious about curbing poverty. However, much more work needs to be done to assess the relative effectiveness of conditional and unconditional cash transfers, as well as to see if these findings carry over to macro-level and in developed countries. Government or NGO-led anti-poverty programs that rely on constructing infrastructure may one day become relics of the past, in favor of giving cash. “A Model from Mexico for the World.” World Bank, 19 Nov. 2014, Web. “Pennies from Heaven.” The Economist, 12 Dec. 2013, Web. “Cash Transfers: Changing the Debate on Giving Cash to the Poor.” Innovations For Poverty Action, Web. Kabeer, Naila and Waddington, Hugh (2015). “Economic impacts of conditional cash transfer programmes: a systematic review and meta-analysis.” Journal of Development Effectiveness, 7 (3). pp. 290-303. Crost, Benjamin; Felter, Joseph H.; Johnston, Patrick B. “Conditional Cash Transfers, Civil Conflict and Insurgent Influence: Experimental Evidence from the Philippines.” Journal of Development Economics, 118 (2016), pp. 171–182. Nunn, Nathan, and Qian, Nancy. “US Food Aid and Civil Conflict.” American Economic Review, 2014, 104(6), pp. 1630–1666; Crost, Benjamin, Joseph Felter, and Patrick Johnston. 2014. “Aid under Fire: Development Projects and Civil Conflict.” American Economic Review, 104 (6): 1833-56. Danish, Jamil. “Afghanistan’s Corruption Epidemic Is Wasting Billions in Aid.” The Guardian, Guardian News and Media, 3 Nov. 2016, Web; Moyo, Dambisa. (2009) Dead aid: why aid is not working and how there is a better way for Africa. Vancouver : Douglas & Mcintyre, 147. Evans, David. “Do the Poor Waste Transfers on Booze and Cigarettes? No.” Governance for Development, World Bank, 29 July 2015, Web. “In Wake of Ebola, Cash Transfers Rebuild Livelihoods in Sierra Leone.” U.S. Agency for International Development, 13 Feb. 2018. McBride, James. “How Does the U.S. 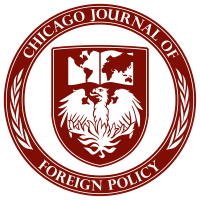 Spend Its Foreign Aid?” Council on Foreign Relations, Council on Foreign Relations, 11 Apr. 2017, Web. Landler, Mark. “Trump Threatens to End American Aid: ‘We’re Watching Those Votes’ at the U.N.” The New York Times, The New York Times, 20 Dec. 2017, Web. Baird, Sarah, et al. “What happens once the intervention ends? The medium-term impacts of a cash transfer programme in Malawi.” International Initiative for Impact Evaluation, Feb. 2015, Web. Fenton, Rory et al. “Wealth Differentials in the Impact of Conditional and Unconditional Cash Transfers on Education: Findings from a Community-Randomised Controlled Trial in Zimbabwe.” Psychology, Health & Medicine, 21.8 (2016): 909–917; Akresh, Richard; de Walque, Damien; Kazianga, Harounan. “Cash Transfers and Child Schooling: Evidence from a Randomized Evaluation of the Role of Conditionality,” Economics Working Paper Series 1301, Oklahoma State University, Department of Economics and Legal Studies in Business, 2013. Baird, Sarah, et al. “Cash or Condition? Evidence from a Cash Transfer Experiment.” The Quarterly Journal of Economics, Volume 126, Issue 4, 1 November 2011, Pages 1709–1753. Akresh, Richard and de Walque, Damien and Kazianga, Harounan, Cash Transfers and Child Schooling: Evidence from a Randomized Evaluation of the Role of Conditionality (January 1, 2013). World Bank Policy Research Working Paper No. 6340. Ozler, Berk. “Do Cash Transfers Have Sustained Effects on Human Capital Accumulation?”Governance for Development, World Bank, 1 Feb. 2017, Web. “Family Rewards: A Conditional Cash Transfer (CCT) Pilot Program in NYC.” Opportunity NYC, Nov. 2010. Web. Miller, Cynthia et al. “Effects of a Modified Conditional Cash Transfer Program in Two American Cities.” MDRC: Manpower Demonstration Research Corporation, Sep. 2016, Web. McFarland, Kate. “Overview of Current Basic Income Related Experiments.” Basic Income Earth Network, 1 Dec. 2017, Web. Next: Next post: We Don’t Negotiate With Terrorists – But Should We?